Great minds start little.™ Put baby in the driver’s seat for discovery and fun with this engaging steering wheel! 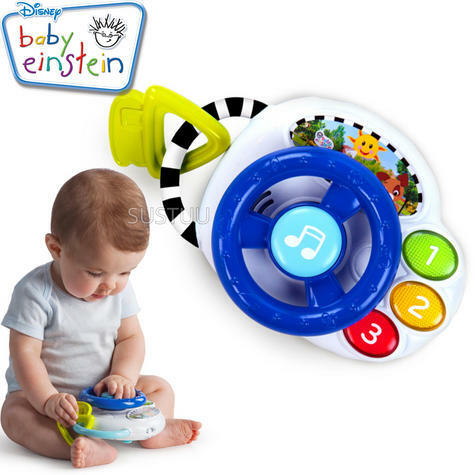 The Baby Einstein Driving Tunes™ features 8 classical melodies and fun car sounds which will keep baby engaged. Baby will be introduced to number and color discovery in 3 languages (French, Spanish, and English). 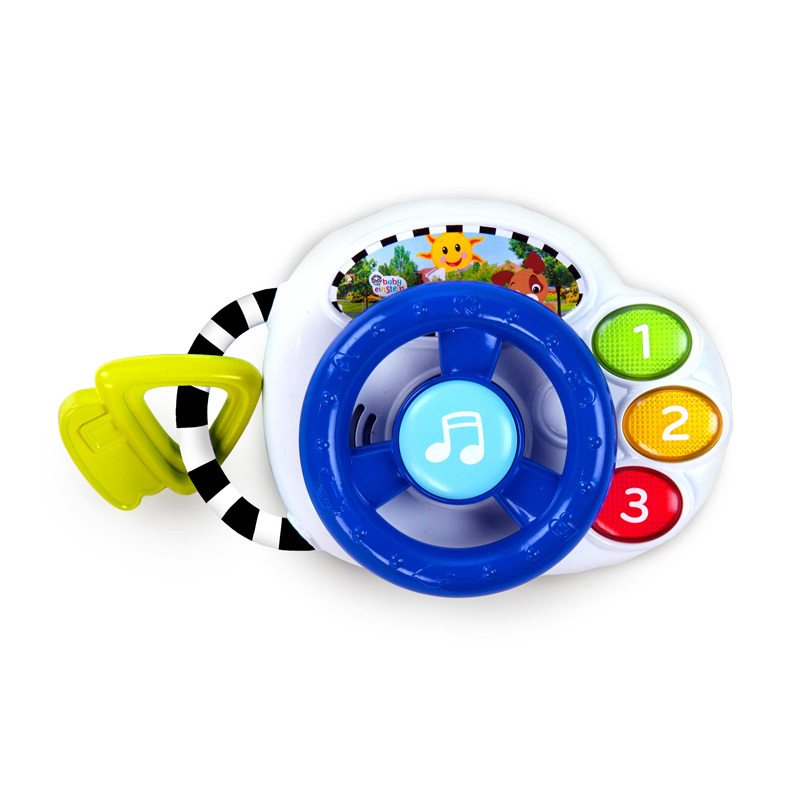 Press the colorful buttons to activate classical melodies and color and number discovery in 3 languages; press the central button for car sounds and classical melodies. 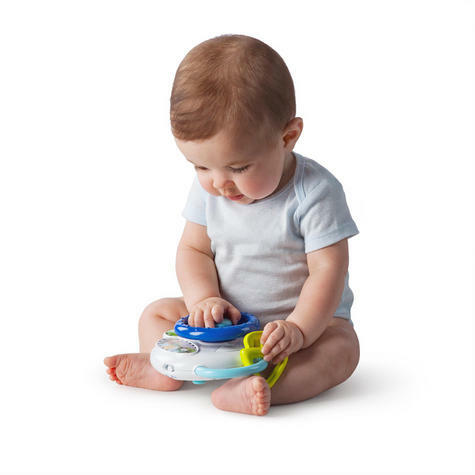 This dynamic toy encourages motor skill development while keeping baby smiling. Babies will love their first driver! Buy with Confidence from a Baby Einstein Authorised Dealer and All Purchases come with a VAT Receipt.